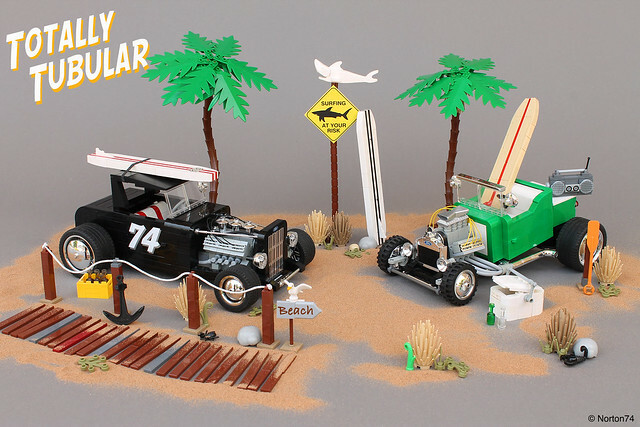 Surfing is already pretty rad, but combined with hot rods you end up with something totally tubular! Andrea Lattanzio has made a gnarly scene that makes me want to go hit the waves with a bunch of bros. Then I remember that I don't speak like a surfer dude and don't have a hotrod. At least I know I won't become shark food, right?